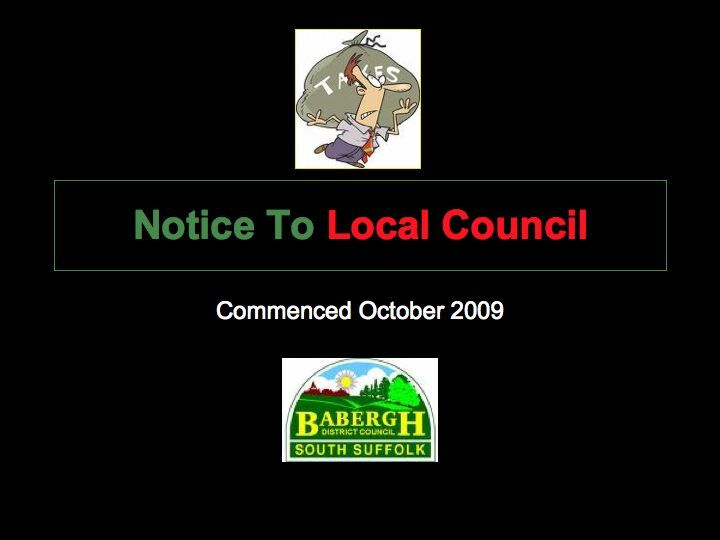 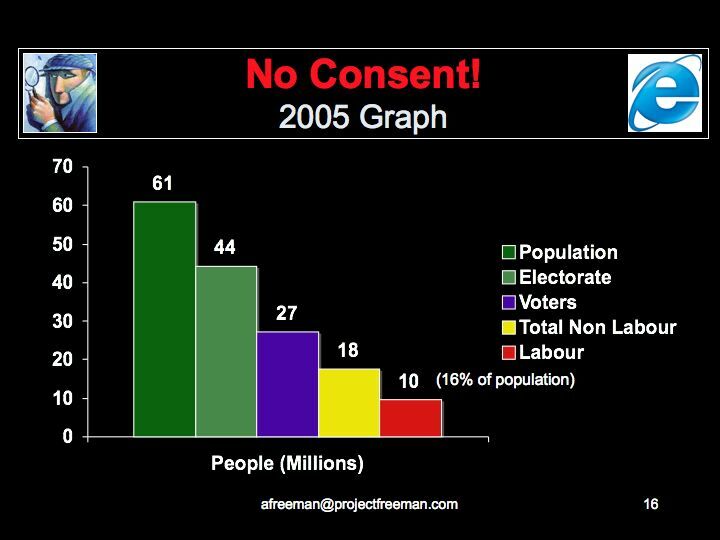 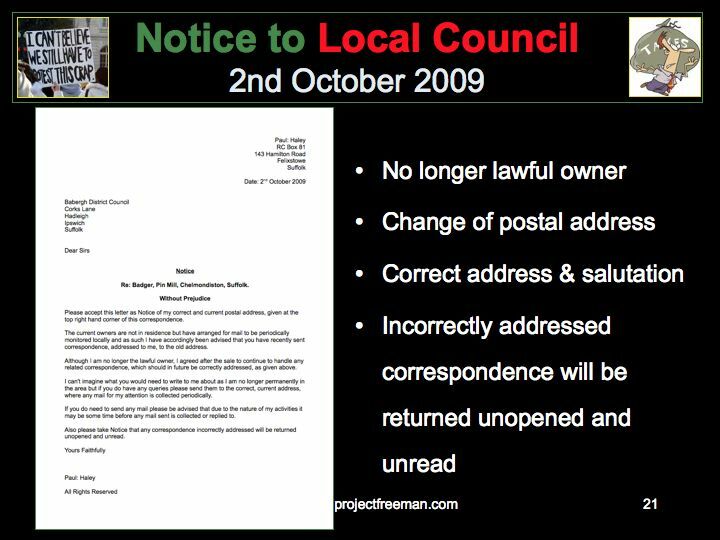 This one was simple and straight forward for 'A Freeman' who moved home in April 2009, therefore ignoring the demand for 'Council Tax' for the year April 2009 - March 2010, and has not paid any form of 'Council Tax' since. 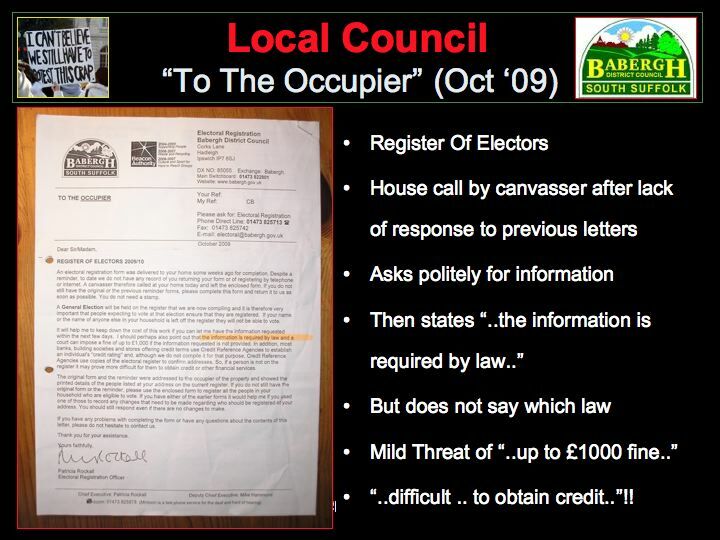 But why do we think we have to pay 'Council Tax' in the first place? 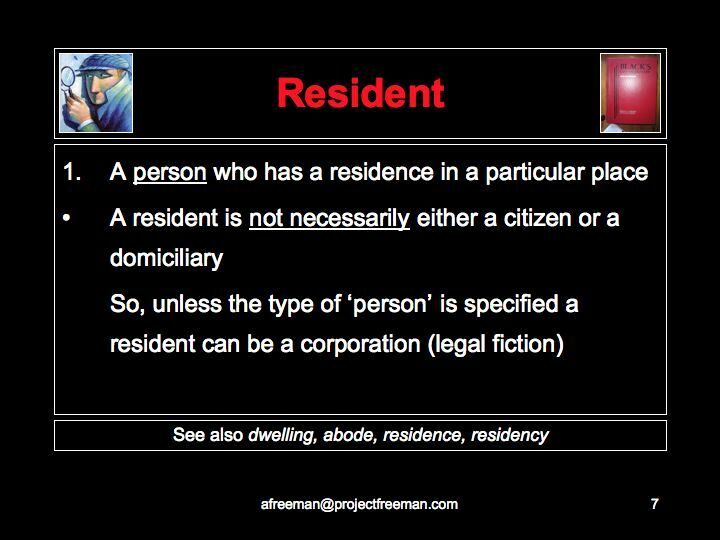 What are the "rules"? 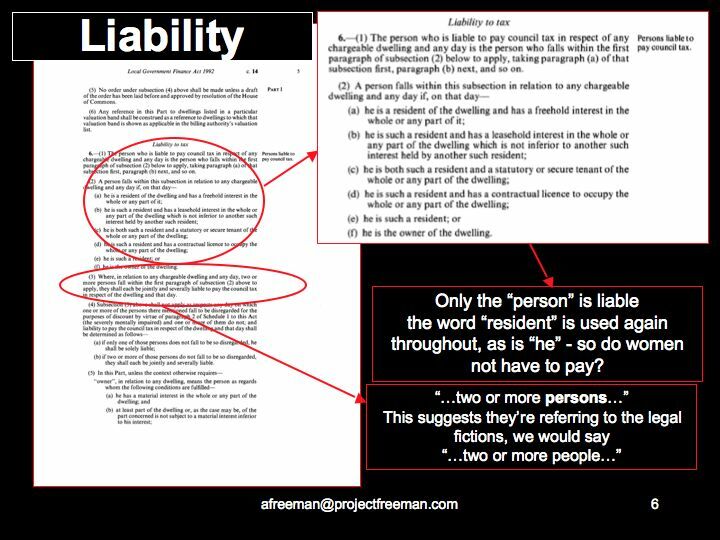 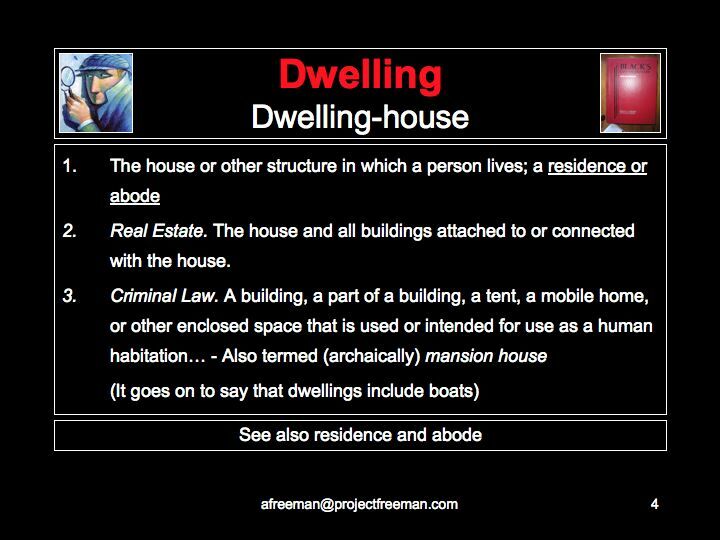 To answer this question 'A Freeman' researched the statute law and how the system works and found it begins with the 'Registered Address"
But "who" is liable under this Act to pay? 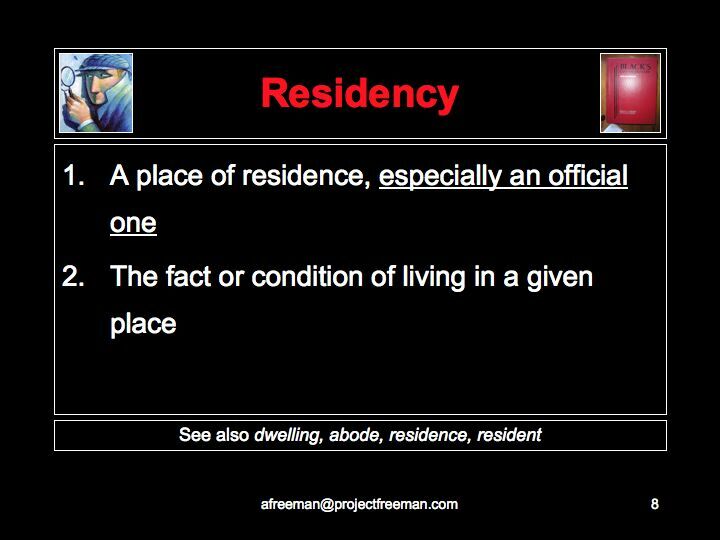 and what is a 'residency'? 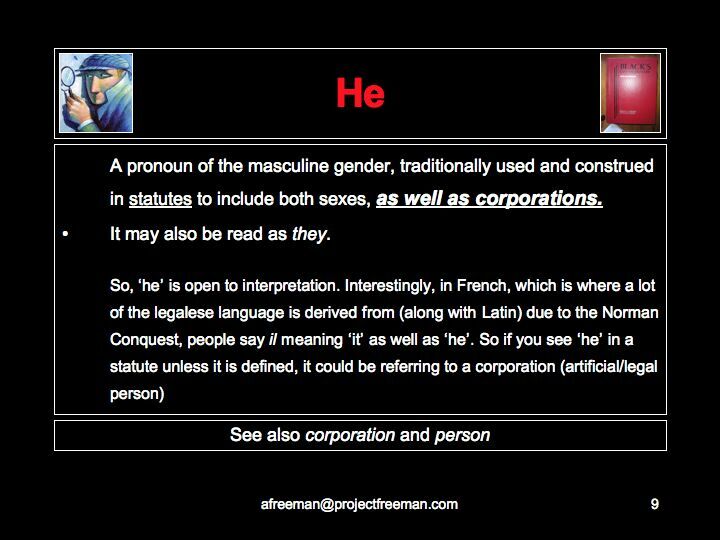 AND what does something a simple as 'HE' actually mean in Legalese? 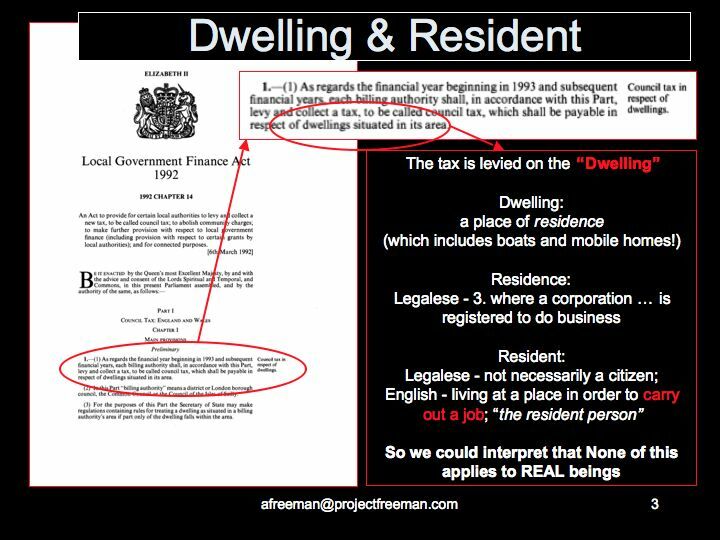 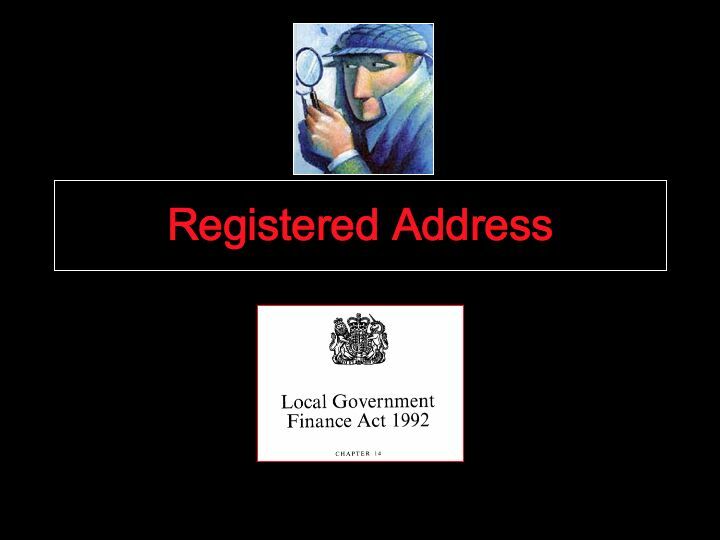 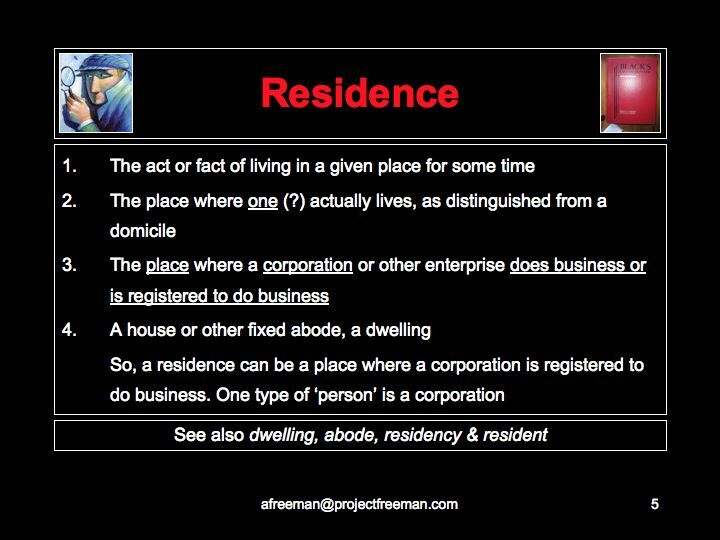 'A Freeman' believes that this statute is only applicable to artificial/legal fiction/corporation/persons and has nothing to do with "people" and that the Act is actually a "business tax"
But how do 'Councils' coerce people into 'Registering' their 'person' at their 'business address'? 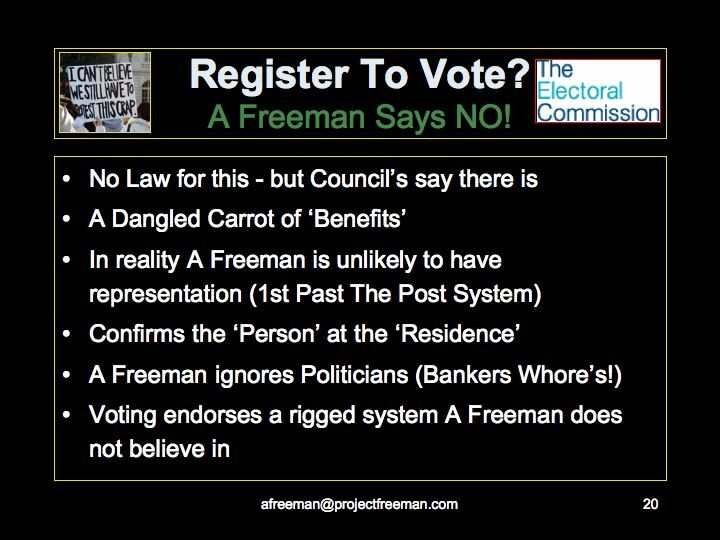 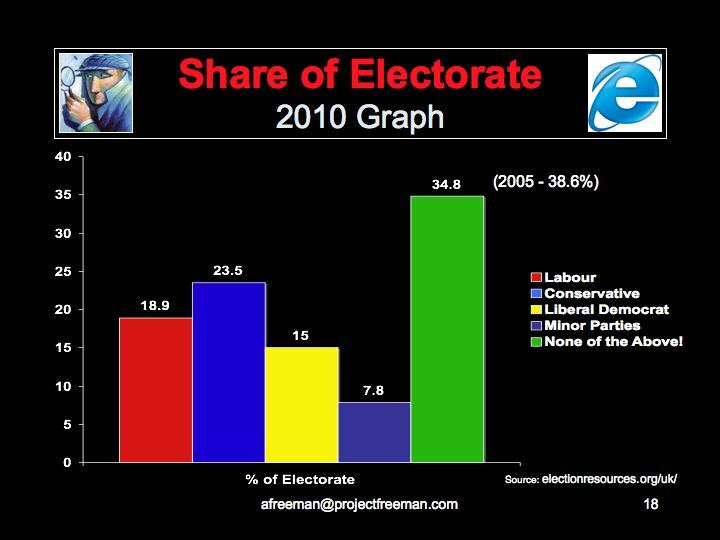 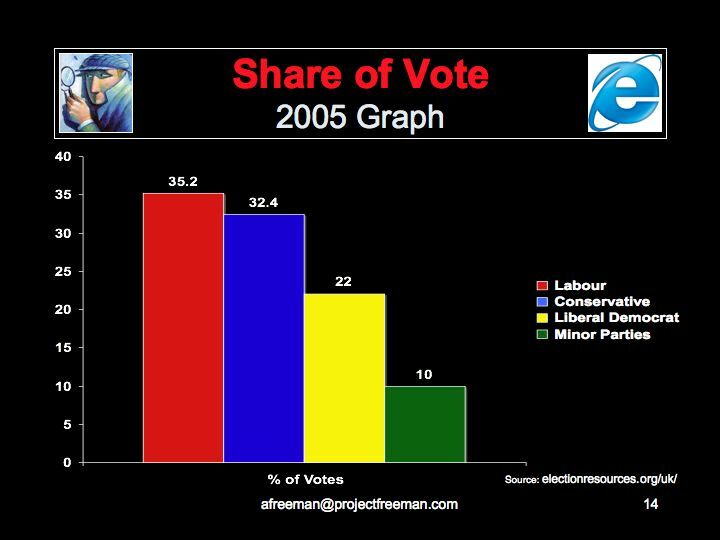 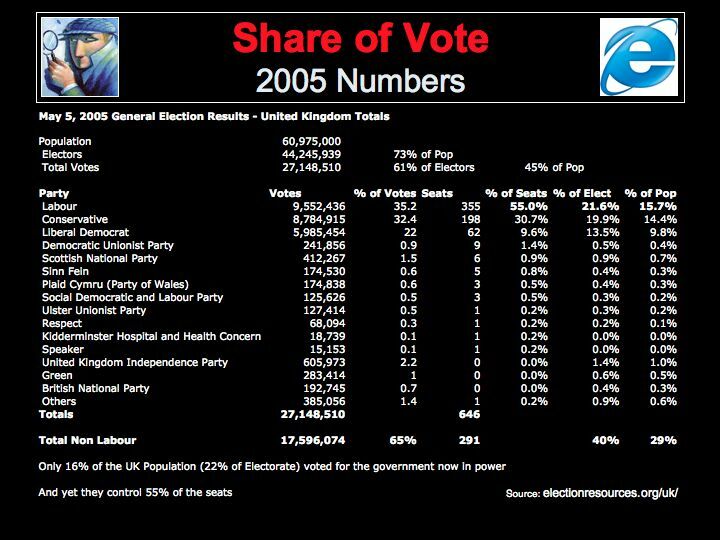 (There is no law requiring you to register to vote, but as of 2009 they are trying to bring in a new system of 'Individual Registration' - Visit the 'Electoral Commission' web site here to see for yourself. 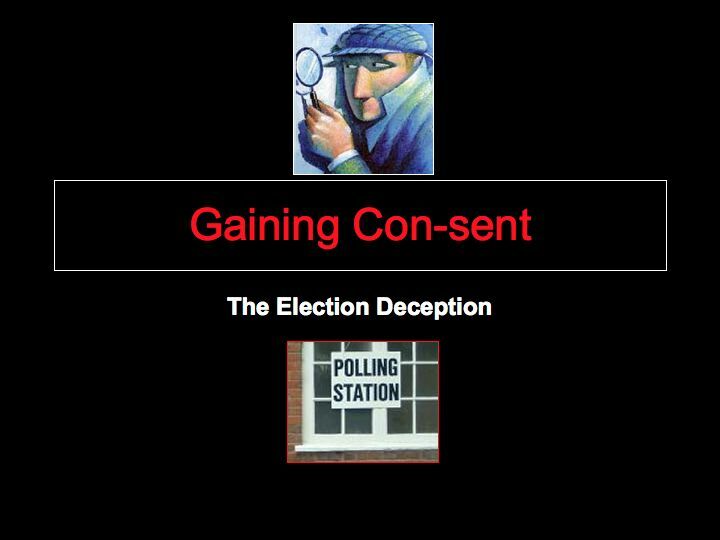 'A Freeman' will be reviewing this so keep checking back to the web site to see what the findings are, or better still check it out yourself as well). 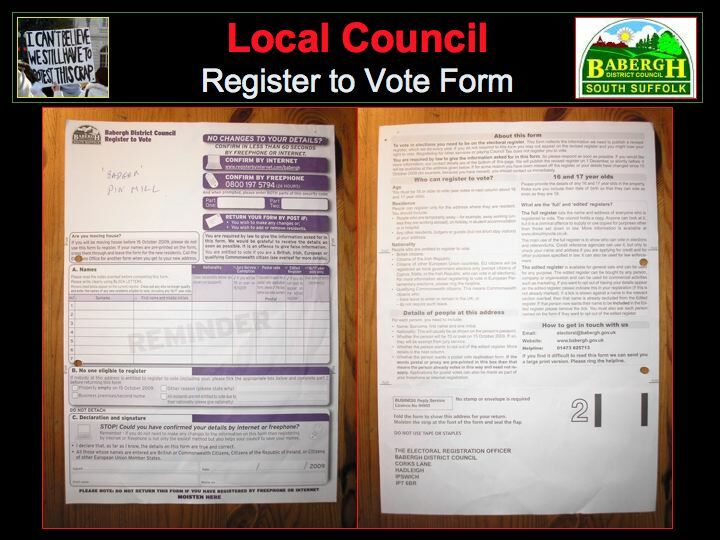 So, by getting us to register to vote 'Local Councils' trick us into becoming liable for 'Council Tax'. But is it worth registering to vote at all anyway? 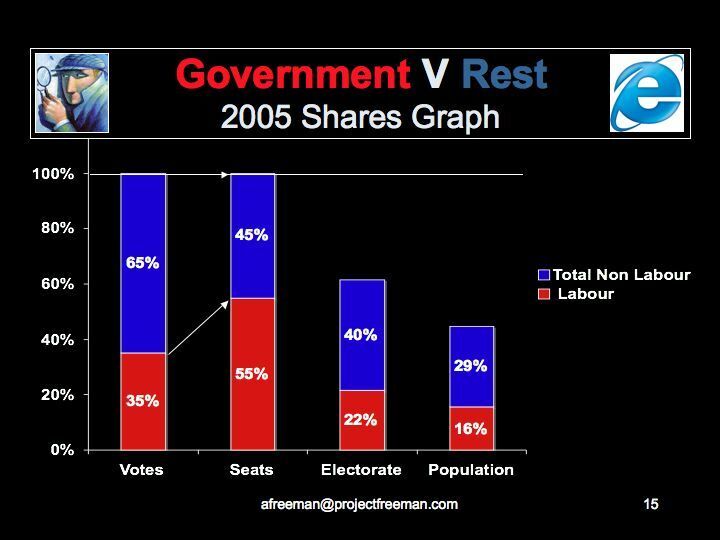 in fact the US was founded as a 'Republic' under a constitution and the UK is a 'Constitutional Monarchy', so we're not really being governed as we think we are supposed to be! 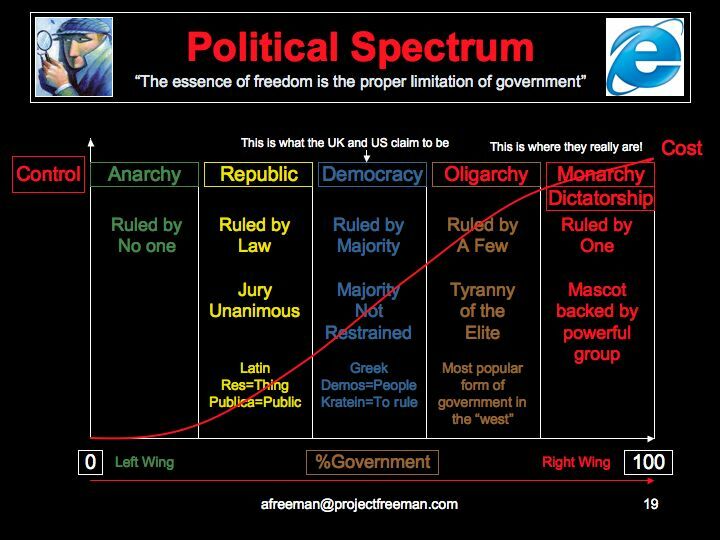 As we move across the spectrum from 'left' to 'right' the amount of control, legislation and bureaucracy increases, as does of course the cost. 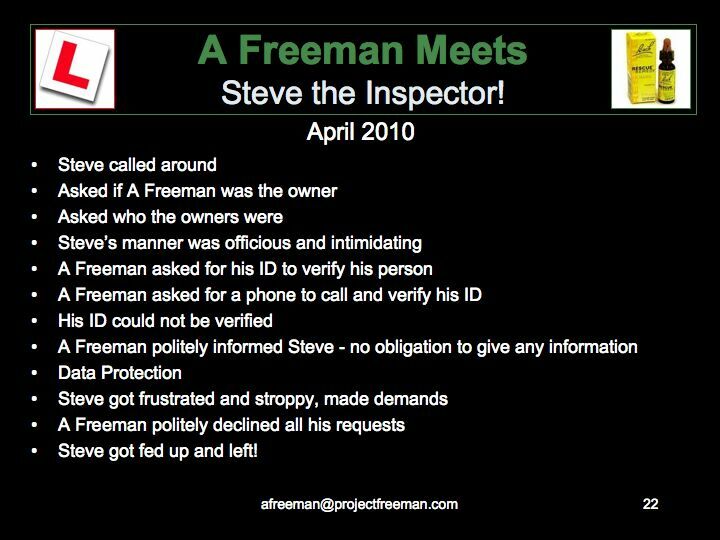 However officious and stroppy Steve may have been 'A Freeman' knew his rights and therefore knew he was under no obligation whatsoever to answer any of Steve's questions, especially as he could not lend 'A Freeman' a phone with which to call his office and verify HIS I.D.